Have you tried to write before? You might have found it a lonely experience. But I recently had a good reminder that, whatever you’re writing, you don’t have to write it alone. It’s January and I don’t do resolutions exactly, but I do like to decide on a couple of focus points for the new year. For 2018, I’ve decided to get back into writing fiction. I have FOUR half-finished novels in my desk drawer. It's pretty shameful for a writer, but I’ve never managed to finish a novel. In fact, last year I hardly wrote any fiction at all. But to kick this year off right, I spoke to a couple of amazing editor friends (Leslie Watts from Writership and Anjanette Fennell from Story As Life Literary) about a story idea I’m beating around. Now, talking about my story ideas out loud is new for me. Usually I keep them close and don’t talk about them at all. I suppose I don’t want to be laughed at for an idea that’s only half figured out. I suppose I worry people will roll their eyes and think my ideas are dumb and a waste of time. So talking through my fiction story was a big step outside my comfort zone. And, to my surprise, the conversations went really well. Both women I shared with were really encouraging. They helped me figure out some genre and plot stuff I’d been stuck on. Now, I’m finally making progress on the outline for my story. The experience really made me think about the idea that we don’t have to write on our own. Writing doesn’t have to be such a lonely endeavor. It seems a bit obvious when I say it out loud. I mean, that’s what I do as a ghostwriter: I partner up with authors who don’t want to do it alone. And I think it’s a brilliant way to write. You merge one person’s knowledge and experience and genius with another person’s writing skills and creativity, and you produce something better than you ever could’ve alone. But I’d never thought to apply the same principle to writing fiction. Duh. Now, you might not be writing fiction. 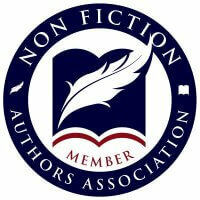 You might be working on non-fiction, say, a how-to guide or big idea book. But whatever you’re writing, or thinking about writing, I want to encourage you to find someone to keep you company as you write. It could be your husband or wife. It could be a business accountability partner. It could be a Facebook group in which you post about your progress or challenges. It could even be partnering with a ghostwriter like me! The important thing is to share your ideas with someone, so it doesn’t become such a lonely practice. It can feel scary to put your ideas out there when you’re not even sure if they’re any good. But good things happen when you share. Below I'm sharing some links to free Facebook groups where you can find people to keep you company on your writing journey. You can also click here to reach out to me if you want to talk about working on your project together. Contact me to talk about your project! Lastly, if you want to get more resources and advice about writing books for your business, put your email in the box below and I’ll send you cool stuff as I come across it.